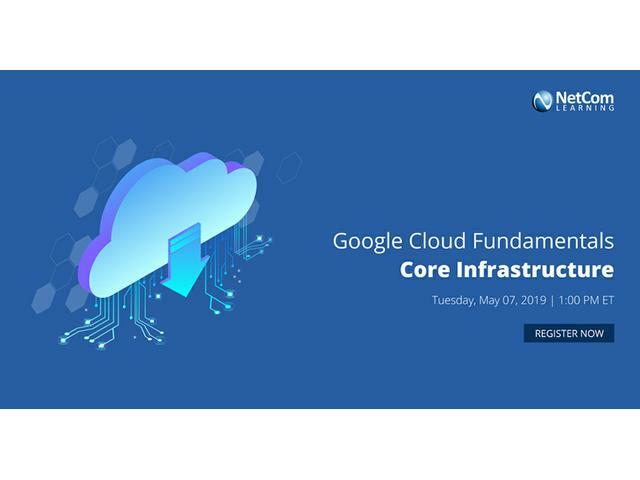 Description: Join NetCom Learning trainer along with Managed Learning Services leader NetCom Learning for a complimentary & interactive event on "Google Cloud Fundamentals - Core Infrastructure". Google Cloud Platform offers four main kinds of services: Compute, Storage, Big Data, and Machine Learning. This webinar focuses mostly on the first two, together with Google Virtual Private Cloud (VPC) networking. Through a combination of presentation and demos, you will explore and deploy solution elements and infrastructure components such as networks, virtual machines and applications services. We will also trace the evolution of cloud computing and explain what is unique about Google's approach to it. Event has been viewed (17) times.